You’re a gentleman with a bit of an edge about you. It’s only natural that when you venture out to a speakeasy on the strip that you expect your drink to match your smooth and charismatic personality. At the Barbershop, we’ve perfected the craft of transforming men into gentlemen with the help of a selection of fine bourbons. What’s your poison? Sit back, roll up your sleeves and sip on one of our 5 favorites. Noah’s Mill is a bit of mystery of bourbons but one that you’ll love exploring and unlocking the secrets to. With an undisclosed mashbill and no age statement, Noah’s Mill is rumored to be a blend of a variety of whiskeys aged between 4 and 15 years. 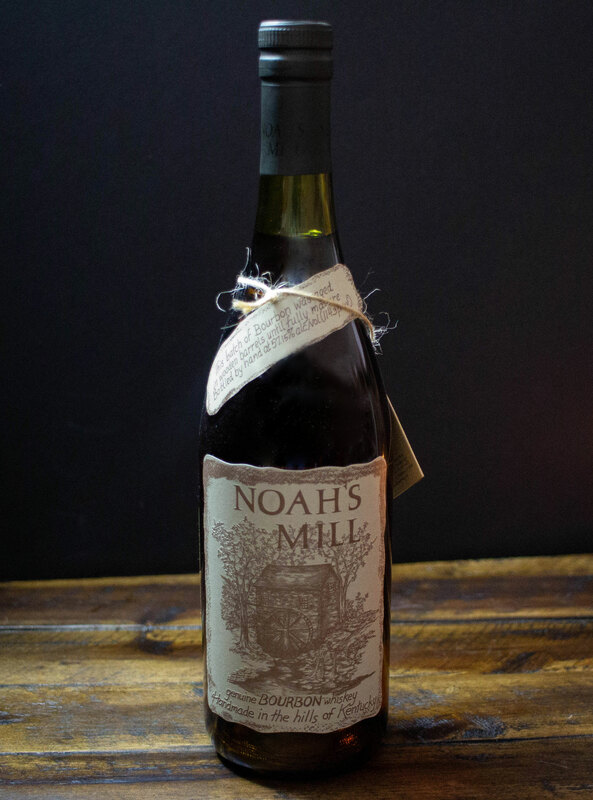 On the palate, Noah’s Mill offers nuanced complexity with notes of toffee, warm pecans and pleasant spice. The finish has a bit of burn – just enough to linger among the hints of oak and roasted nuts. When it’s all said and done, Noah’s Mill is a rich velvet of bourbons that invites you in to discover more. Let’s set the scene. You’re heading out to a Las Vegas whiskey bar with a few friends for a laid back, chill evening. You want something smooth and sophisticated but that’s different enough to tease your palate and encourage you to maybe have just one more pour. What does the master bartender recommend? Weller Antique 107, on the rocks or neat in a Glencairn glass that opens up the bouquet of this phenomenal wheated bourbon. 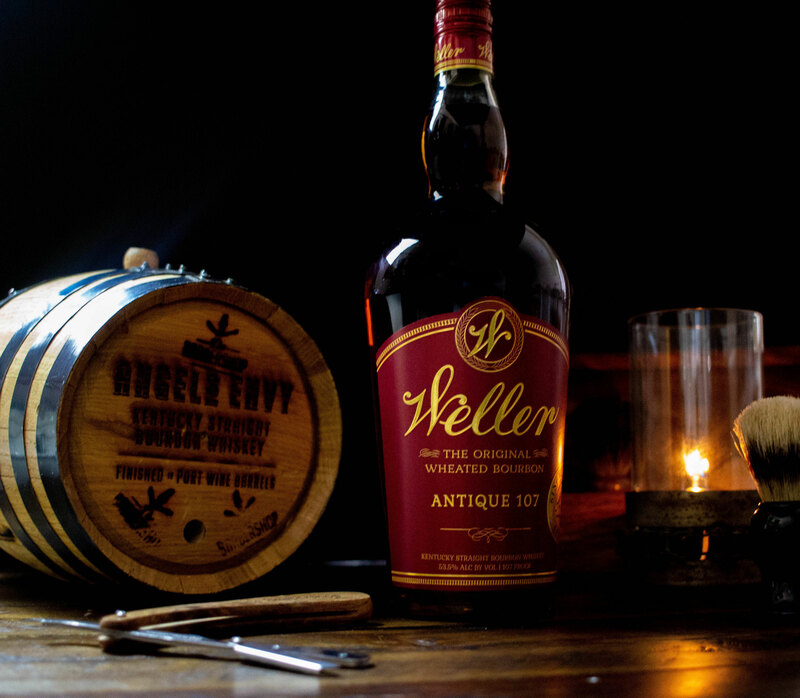 Weller’s Antique 107 makes the claim of being the original wheated bourbon. If you’re unfamiliar with wheated spirits, this indicates that a bourbon is wheat heavy with at least 51% of the grain in the mashbill being wheat. If you’re someone who likes associate to personalities with your bourbon, Weller is warm and confident. It is on the younger side of wheated bourbons but is sophisticated beyond its years thanks to its shared mashbill roots with the ever coveted Pappy Van Winkle. We suggest you use caution however, as Weller is dangerously drinkable. Spicy sweetness that hits the palate is rounded out with a smooth, semi-dry oak finish and makes for a very sip-able companion on your night out. 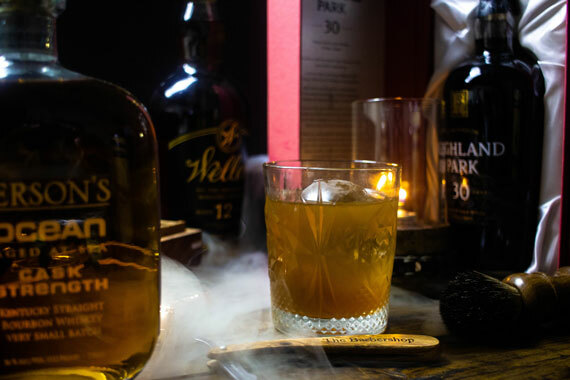 Looking for a sophisticated bourbon that takes you on a exotic voyage from the very first sip? Jefferson’s Ocean has a story and flavor profile that fits the bill. What started out as four year experiment has revealed a bourbon that is complex, nuanced an unlike anything you’ve tasted before. In 2008, Jefferson’s Bourbon co-founder, Trey Zoeller embarked on a concept that would add an entirely new element to whiskey culture. To put barrels of bourbon on a ship that would travel the ocean and expose them to the elements of life at sea. After 4 years of aging on the M.V. Ocean, while being exposed to the salty air, inconsistent temperatures and briny personality of the ocean, Jefferson’s revealed a batch of bourbon that brought a completely new flavor profile to the whiskey connoisseur’s table. What happens when a barrel of bourbon is exposed to the elements of the sea? It develops a flavor profile that contains hints of the rich, caramel forward notes of dark rum and the classic brininess of an Islay scotch. These notes are subtle however, and the nose that first greets you is filled with dark fruit, sharp citrus zest and an undeniable oakiness. Jefferson’s Ocean isn’t for everyone though. This bourbon is for the sophisticated sipper that can handle the complexity of cherries, cinnamon and bites of saltiness. 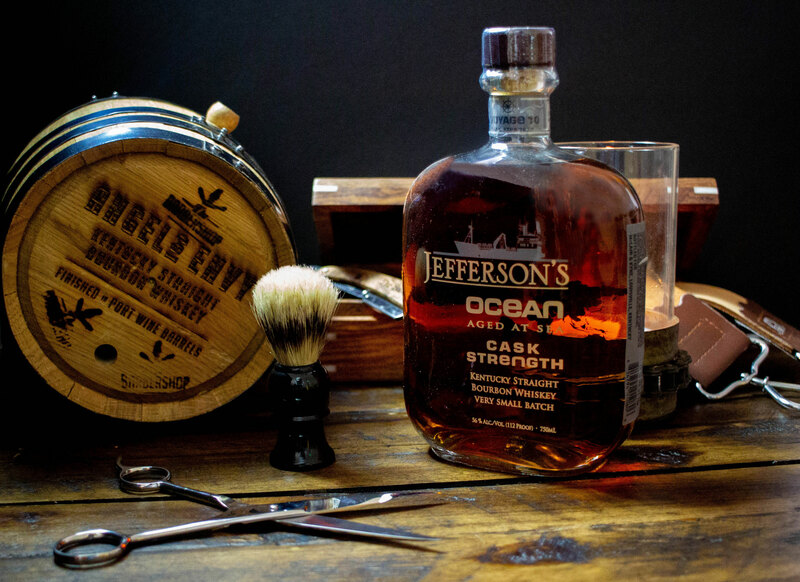 While other quality whiskeys are consistent and reliable, Jefferson’s Ocean is a bourbon that’s forward, charismatic and has something new to add to the conversation with each sip. You know how when you get a group of friend together to hang out at the bar and there’s always that one friend that seems to magically capture everyone’s attention? It isn’t because they’re loud or over the top, it’s simply that their presence is captivating. Russell’s Reserve bourbon is THAT friend. This single barrel bourbon whiskey presents with a bite of spice that would almost be intimidating if it weren’t so perfectly blended with sweet and oaky undertones that produce a smooth, long finish that lingers on your palate and mind long after it hits your throat. 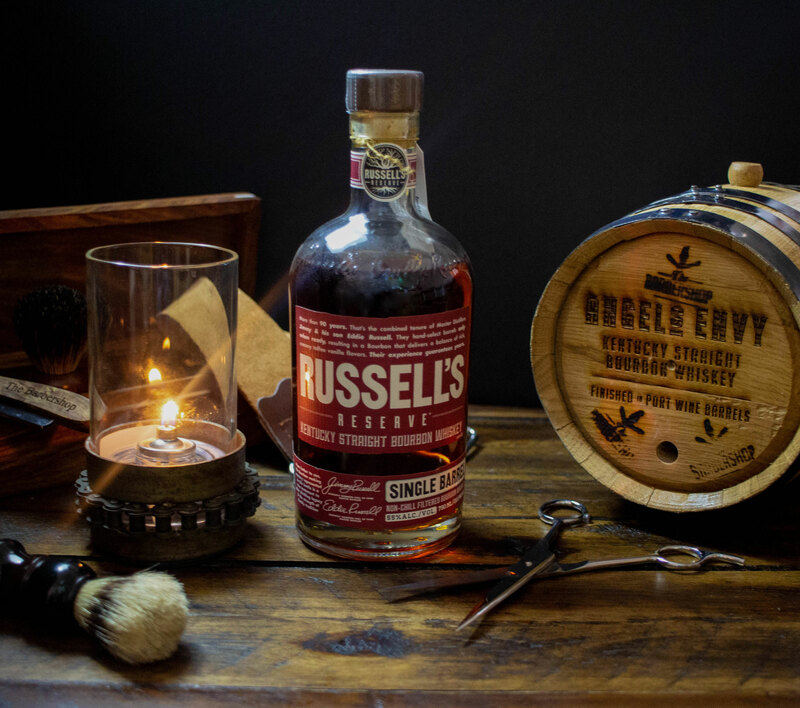 Russell’s Reserve is classy, confident without a hint of pretentiousness. This is the perfect gentlemen’s bourbon for enjoying in the refined atmosphere of a speakeasy on the strip. Sometimes, when you pour a shot or two of bourbon into your glass, you want something that’s a little edgy and capable of lighting a fire within your soul, yet smooth and balanced to the point that it captures the love of bourbon novices and enthusiasts alike. 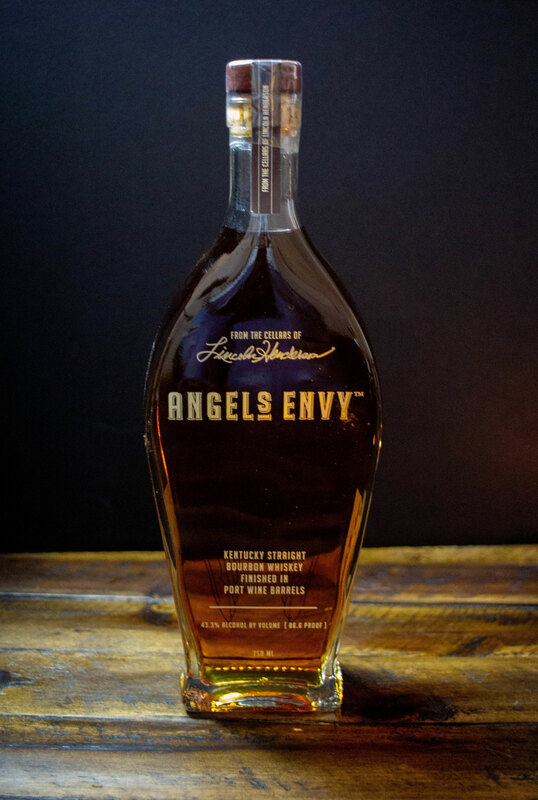 Angel’s Envy fits this description and it has become a rock star at whiskey bars in Las Vegas. Angel’s Envy lures you in with a nose that’s a combination of spicy gingerbread, warm molasses and a bit of maple all while leaving a noticeable tingle in the nostrils. It’s edgy and warm at the same time. The next time you visit our Vegas speakeasy, order a round of Angel’s Envy for you and your friends. It’s a guaranteed crowd pleaser that doesn’t compromise character for the sake of having broad appeal. If you’ve got an appetite and an appreciation for enjoying a smooth, complex bourbon in an environment that blends modern day speakeasy with prohibition era charisma, then you’re going to want to sample the offerings by the Barbershop on the strip. Located in the Cosmopolitan, the Barbershop is a secret gem. We invite you to discover us and indulge yourself in what whiskey culture is meant to be.